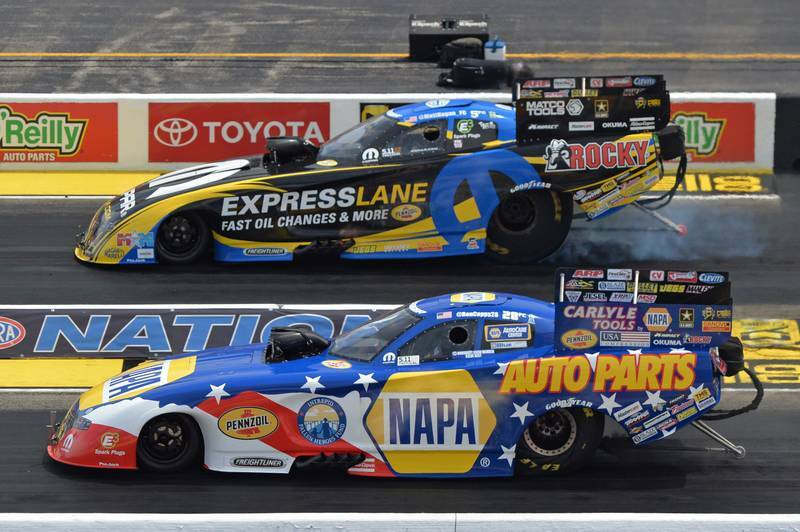 JOLIET, Ill. (July 10, 2016) – Ron Capps appreciates crew chief Rahn Tobler being focused on bigger picture that is the 2016 NHRA Mello Yello Racing Series Funny Car world championship. 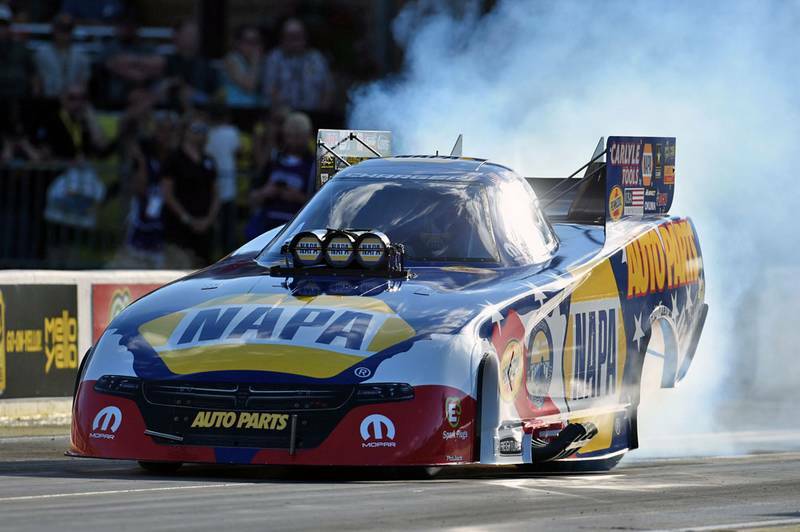 Capps, the current Funny Car points leader, was mildly disappointed that his Intrepid Fallen Heroes Fund/NAPA AUTO PARTS team advanced to Sunday’s championship round of the NHRA Route 66 Nationals but was unable to beat Don Schumacher Racing teammate Jack Beckman for NAPA’s fifth title of the season. 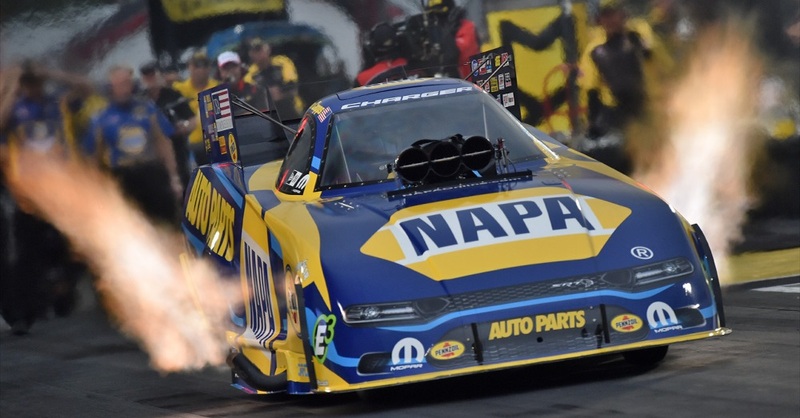 But it’s not too upsetting when you were the quickest in both of Friday’s qualifying sessions and qualified fourth after having won three of the past five Mello Yello events. 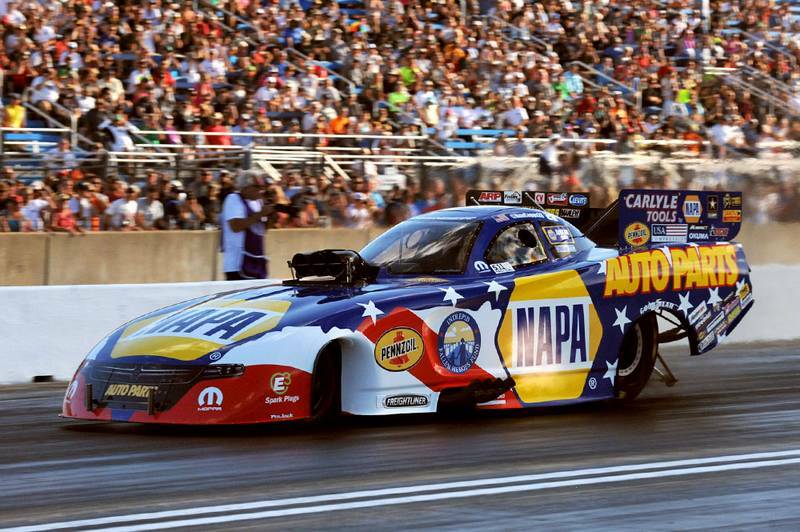 “I’ll keep saying how much I love driving this NAPA Dodge,” he said. 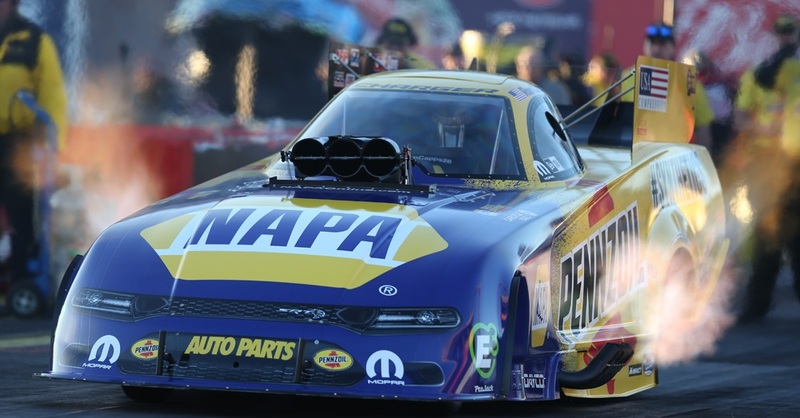 “It’s the best Funny Car I’ve driven in my 19 years of racing. 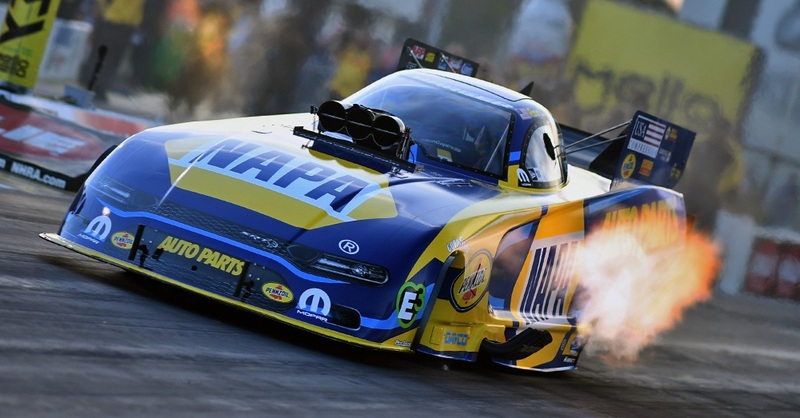 “Tobler used our runs on Saturday to break-in some new clutch discs for our rotation that will help us in the Countdown (to the Championship). That will pay off for us. On the run against Jack, it just got to be too much to control. This car is such an animal that you have to really work at keeping it under control. 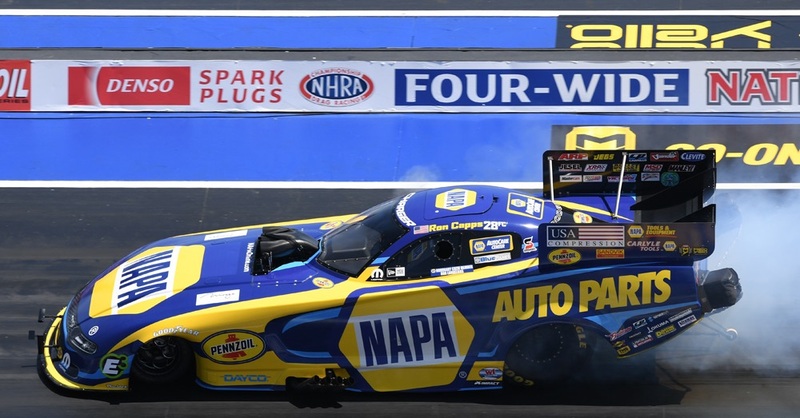 The Western Swing begins in two weeks with the Mile-High Nationals near Denver and is the first stop on a three-week trek that includes stops at Sonoma Raceway near San Francisco followed by a trip to Seattle. 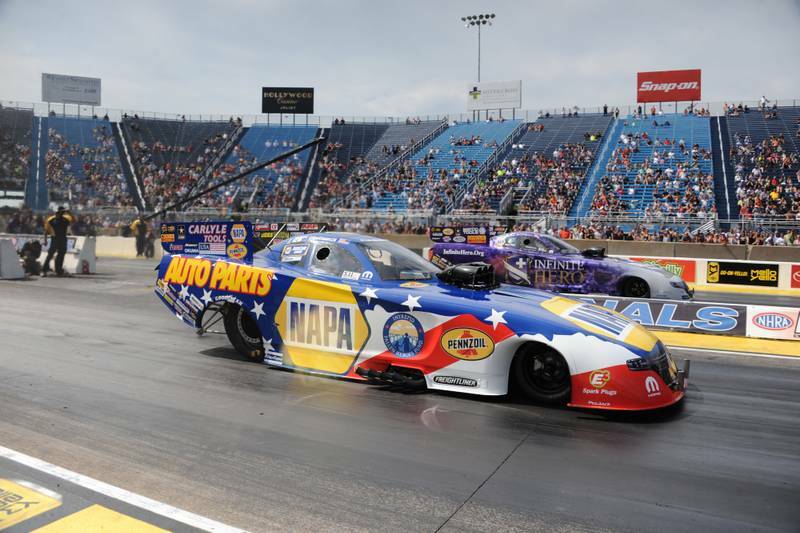 Sunday had added importance to Capps as he earned the 600th elimination round win of his career and the milestone was accomplished with the Intrepid Fallen Heroes Fund paint scheme. 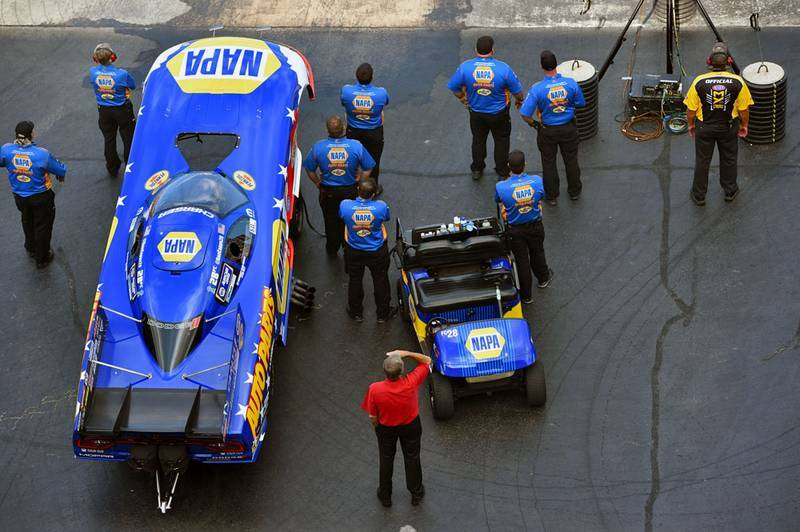 “It means so much to our team when we get to have the Intrepid Fallen Heroes logo on our car. 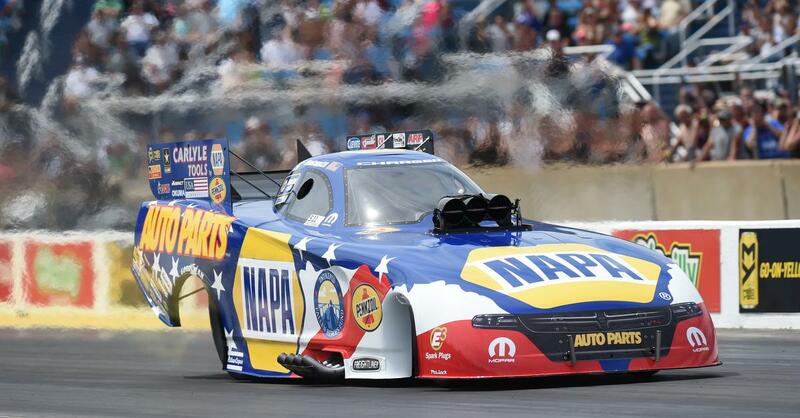 It’s very special to me to have a sponsor like NAPA AUTO PARTS that devotes every July to raising funds to help our American heroes.